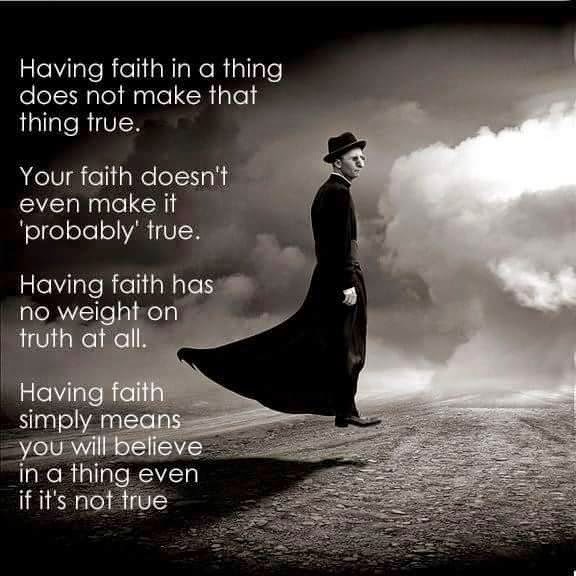 Atheist Religious quote: Having faith in a thing does not make that thing true. Your faith doesn't even make it probably true. Having faith has not weight on truth at all. Having faith simply means you will believe in a thing even if it's not true.